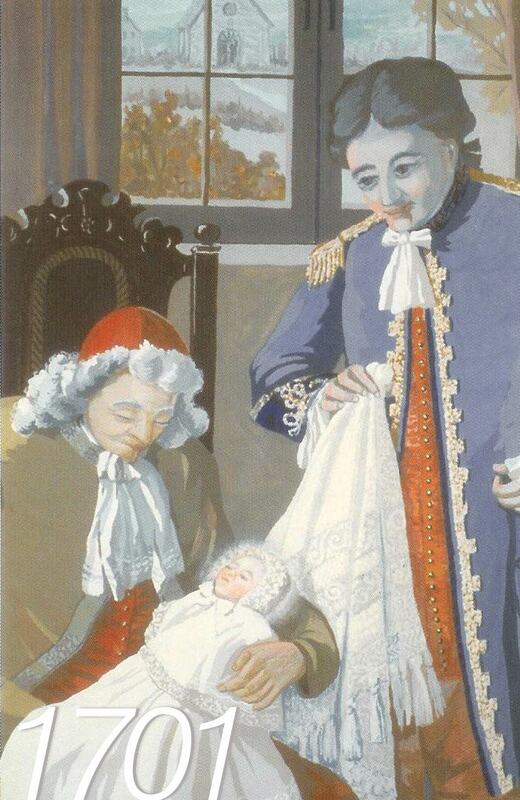 Marie-Marguerite Bourgeois was born on October 15, 1701 at Varennes, Quebec, the first child of Christopher Dufrost de Lajemmerais and Marie-Renée Gaultier de Varennes. The following day, she was baptized in the parish church of St. Anne. Her father proudly placed her on the knees of Pierre Boucher, her maternal great-grandfather, to receive the traditional blessing. Four years after her father’s death, Marguerite left Varennes for the Ursuline Monastery in Quebec where she had the benefit of two years of study, thanks to the influence of her famous great-grandfather. During this year, Marguerite made her first communion. She had already acquired a profound spirituality and a maturity unusual in a young person of her age. Her great-aunt, Ursuline, was present at this event. 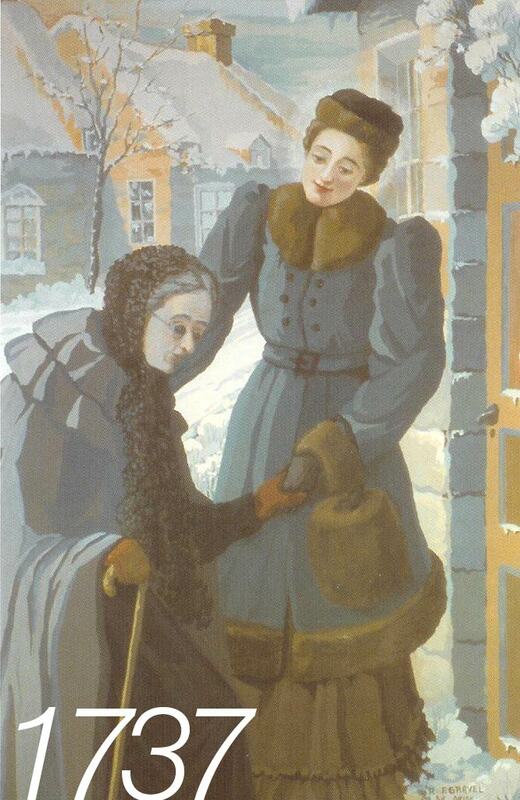 A gentle and thoughtful young woman, Marguerite became confident and a great support for her mother. She contributed to the education of her younger brothers and sisters, shared in the household tasks, and applied herself to the domestic arts of her day. In Montreal, where she now lived, Marguerite’s innate charm and graciousness attracted the attention of Francois d’Youville. 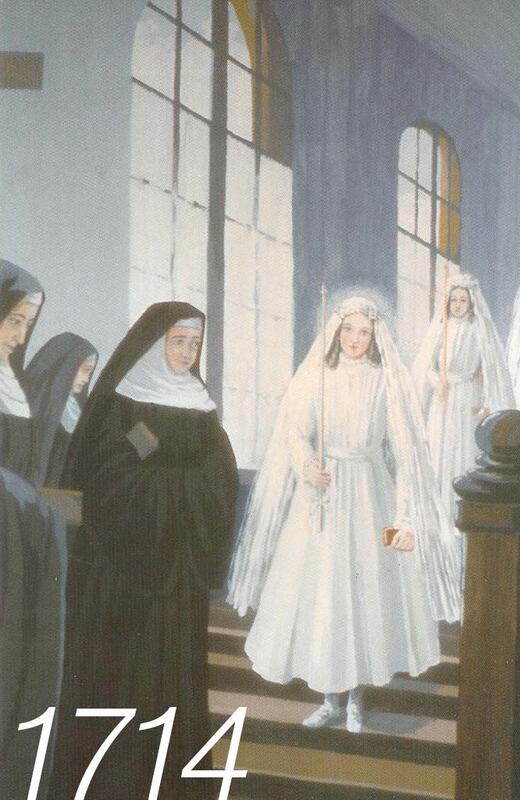 She married him on August 12, 1722 in Notre Dame Church in Montreal. 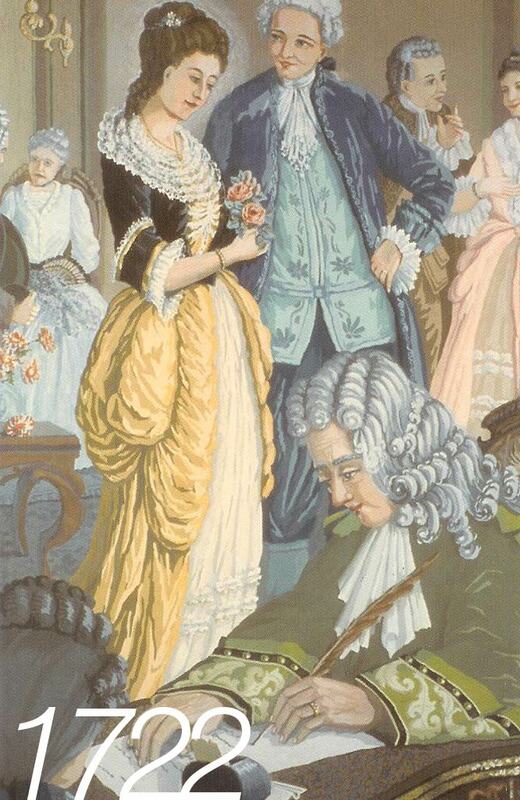 The Marquis of Vaudreuil, Governor General, signed the marriage contract. The indifference and long absences of her husband and the bad temper of her mother-in-law who lived with them, helped to mold Marguerite’s heart into one of unselfish fidelity that never failed despite all obstacles. She was practically alone to educate and provide for her children, four of whom died in infancy. 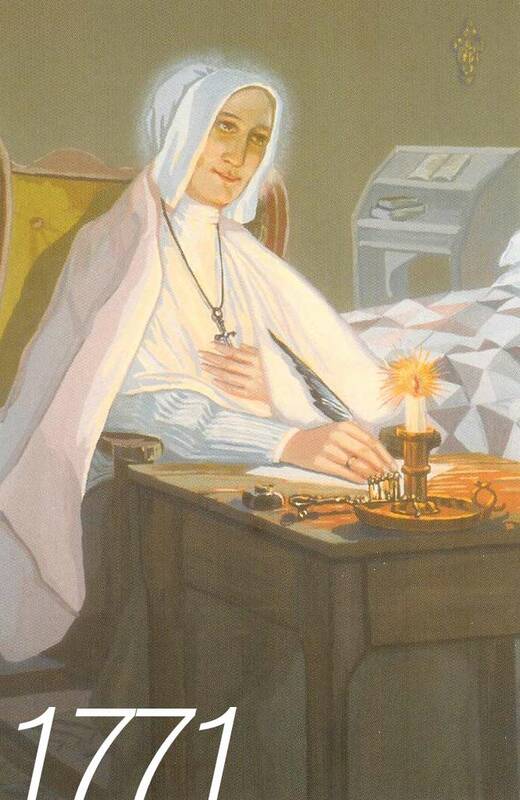 On November 12, 1737, Feast of the Presentation of Mary in the Temple, Marguerite welcomed a blind woman into her home. 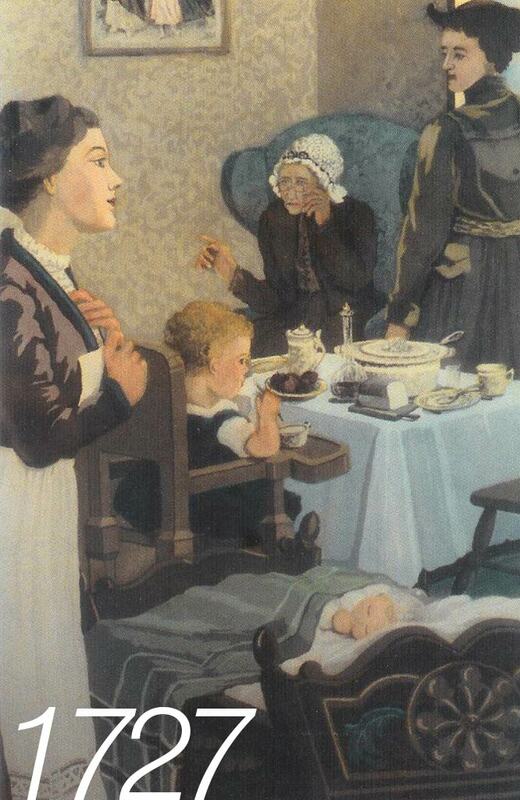 This act of hospitality was the first in a long line of services to the poor. On October 30, 1738, Marguerite d’Youville and the three associates decided to live together. 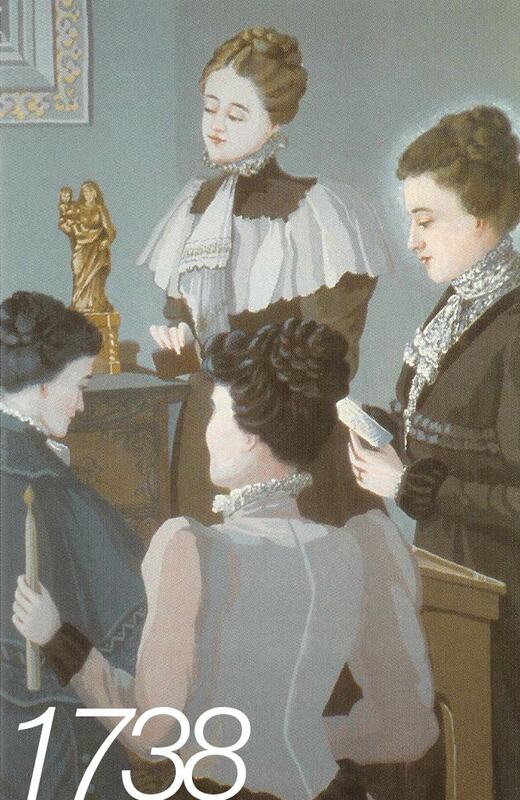 Their very first act upon entrance into Le Verrier house which was to be their home, was to consecrate themselves to Mary, their model in the mission of charity. The population did not look kindly upon the association of this small group of women with the widow d’Youville. While they made their way to the parish church on the Feast of All Saints, the crowd insulted them and went so far as to throw stones at them. Several indigent persons were admitted to the Le Verrier house at the corner of Notre Dame and Saint Pierre Street. 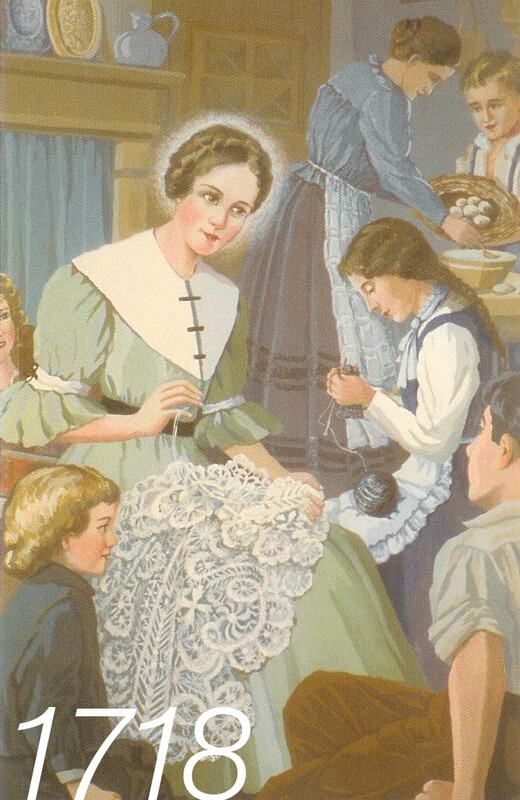 Marguerite d’Youville and her companions devoted themselves to caring for them while providing subsistence for the whole household. Marguerite d’Youville was named temporary directress of the General Hospital which was falling into ruins. Weakened by illness, she arrived there in a cart on October 7, 1747, followed by her poor, her associates, and a young orphan. 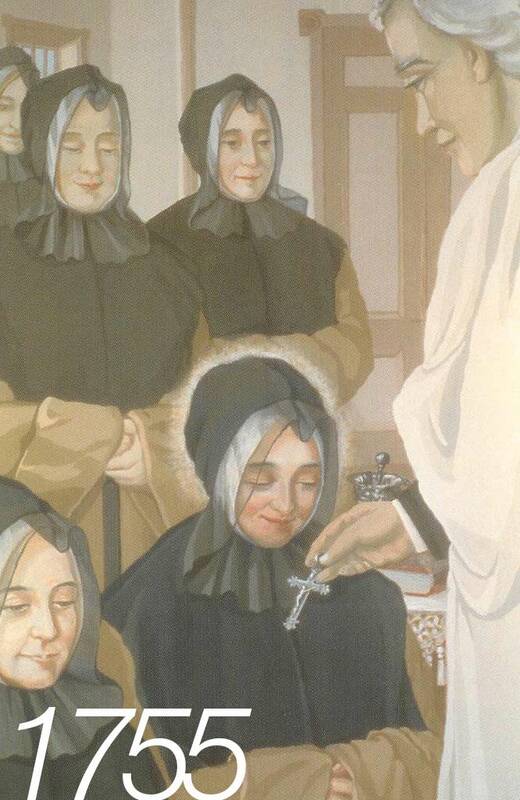 On June 15, 1755, Most Reverend de Pontbriand, Bishop of Quebec, approved the new institute and on August 25, Marguerite d’Youville and eleven companions clothed themselves in a grey dress and black headdress, chosen as their distinctive habit, Father Louis Normant, PSS, their spiritual father, gave each one a silver cross. An epidemic of smallpox spread among the Indian missions around Montreal. 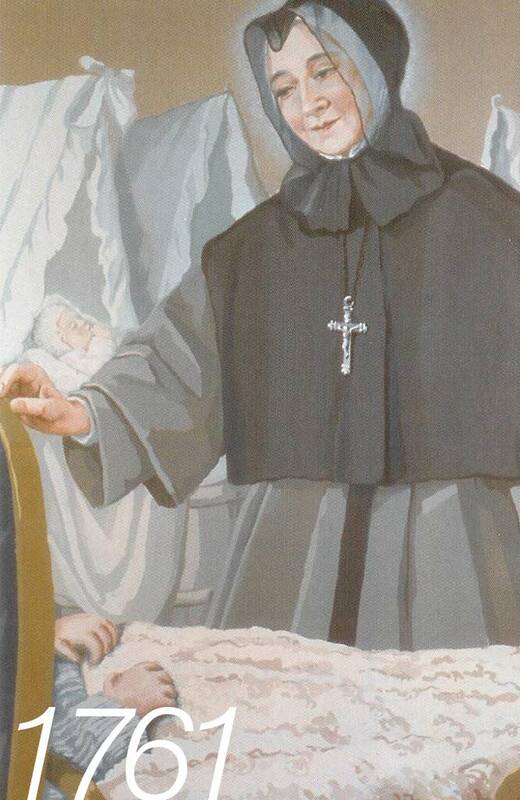 Marguerite d’Youville and her companions hastened to care for the sick and comfort the afflicted families. The Intendant Bigot arrived without previous notice. 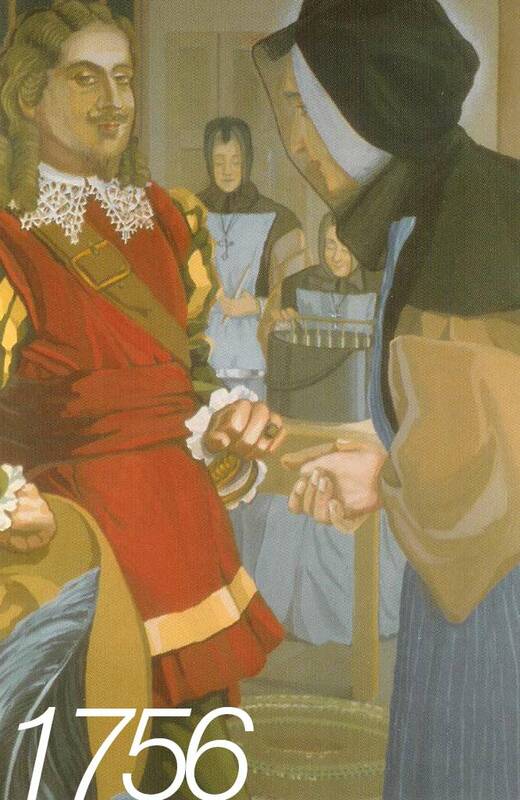 Marguerite d’Youville graciously welcomed him and agreed to his request to admit wounded or sick soldiers and prisoners of war. 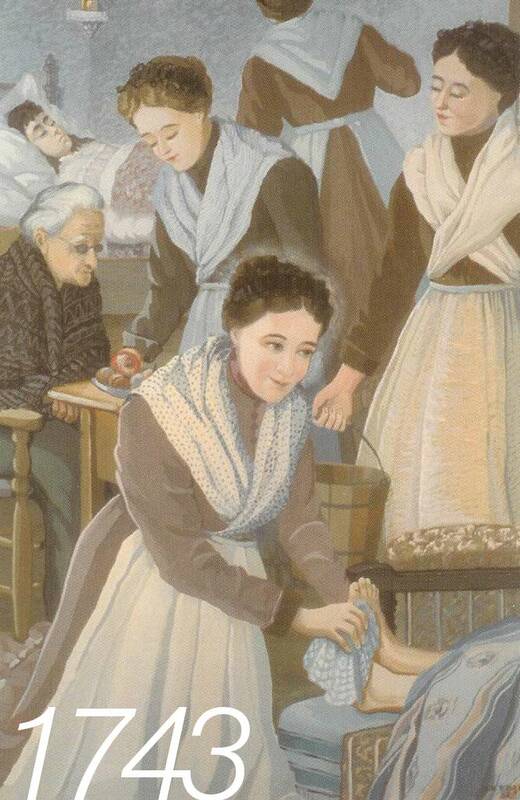 Marguerite d’Youville and her sisters devoted themselves day and night at the bedside of those in their care. 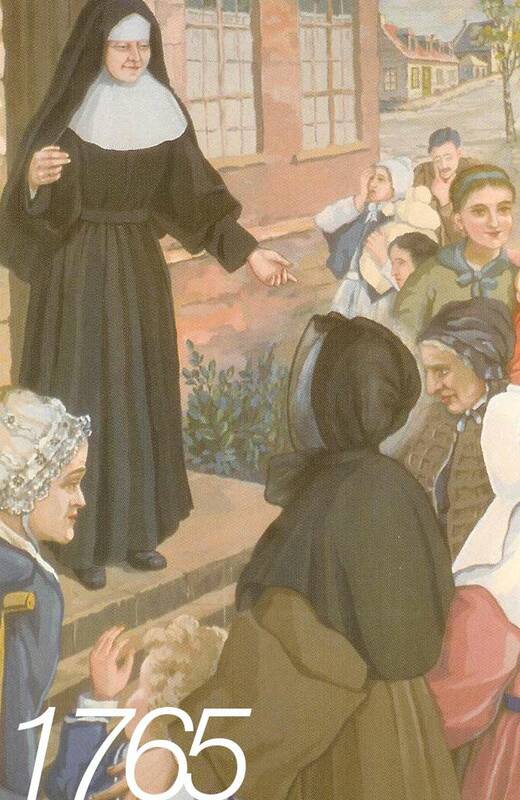 Without distinction of nationality, race or creed, Marguerite’s faith and charity inspired her to provide for the needs of all with equal sensitivity. 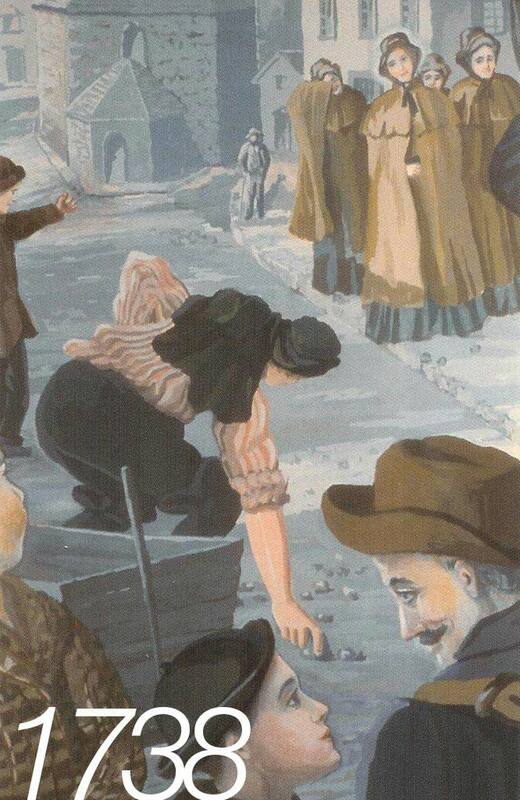 Montreal was struck by famine. 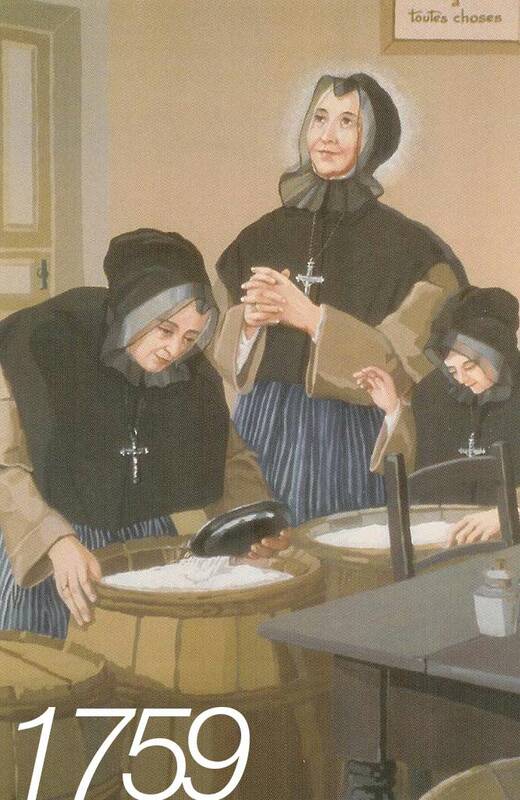 One day when there was no bread in the hospital, Margueite d’Youville and her sisters found several barrels of fine wheat flour at the entrance of the dining room and could never discover where they came from! Providence had come to their aid. 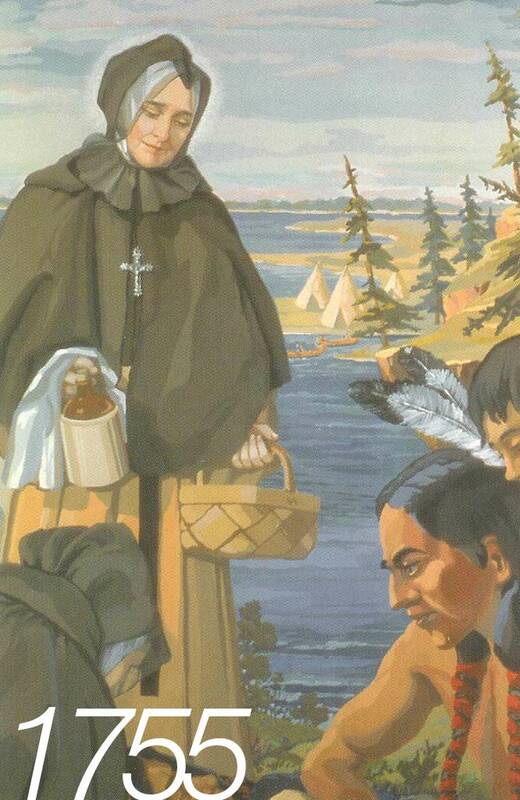 Marguerite d’Youville discovered that infants and babies were being abandoned along the road that bordered the river. Her mother’s heart was deeply moved by the suffering of these little ones. Welcoming them into the hospital, she added this work of charity to the many already being carried out. A fire at the General Hospital left 119 persons homeless. 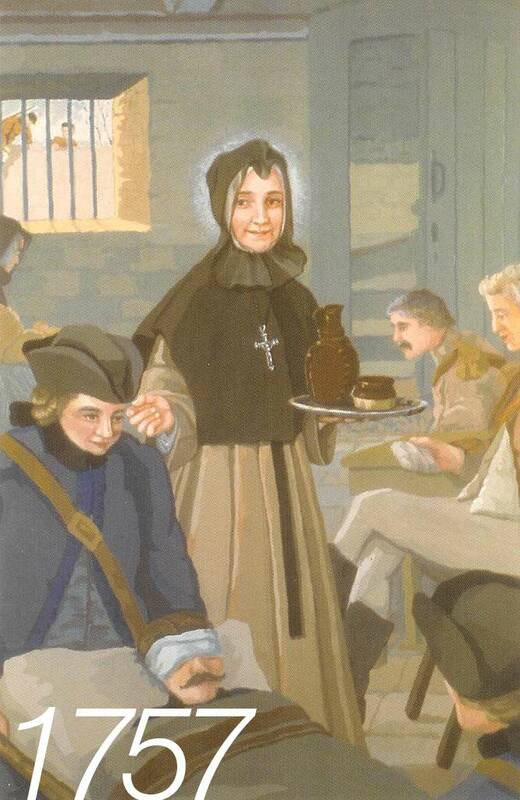 Marguerite d’Youville accepted the hospitality of the Religious Hospitallers of the St. Joseph who, from May to December, generously accommodated all of them in their Hotel-Dieu. 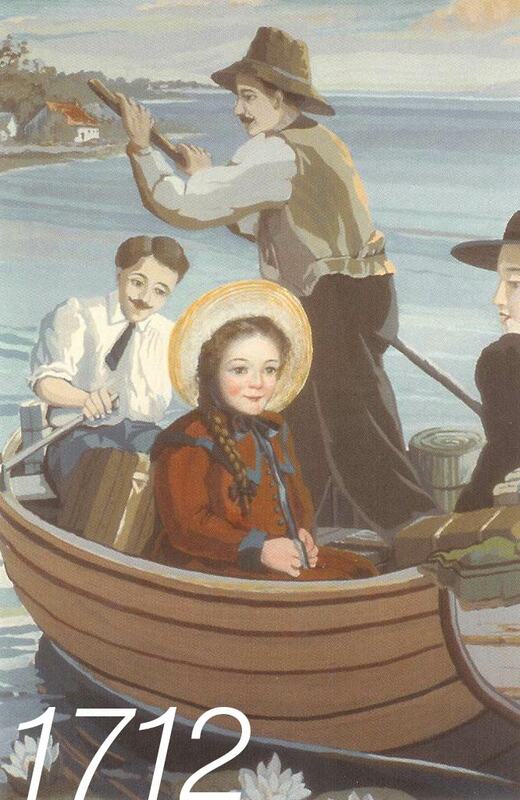 Marguerite d’Youville traveled by rowboat on Lake St. Louis to visit the Seigniory of Chateauguay. Despite the losses sustained in the fire of May 18, she acquired the property. 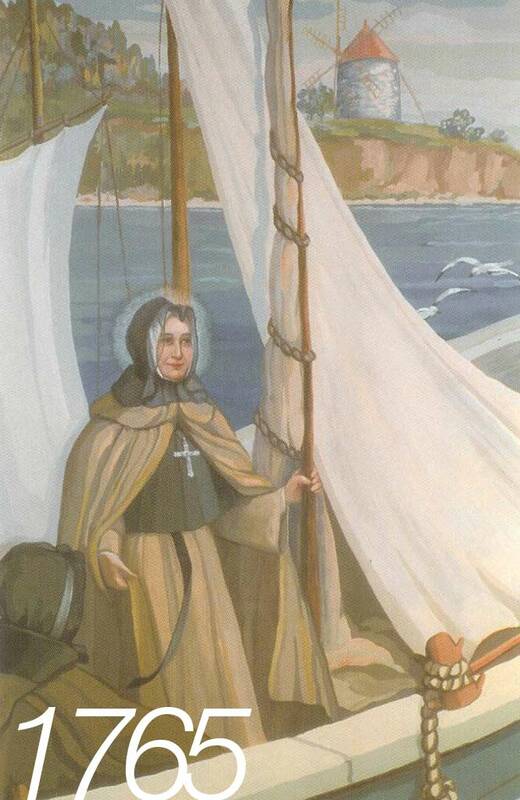 A woman of faith, but also a good business woman, she planned to make St. Bernard Island a source of revenue for the poor and a place of rest for her sisters. What is it that enabled Marguerite d’Youville to keep going in the face of difficulties and trials? 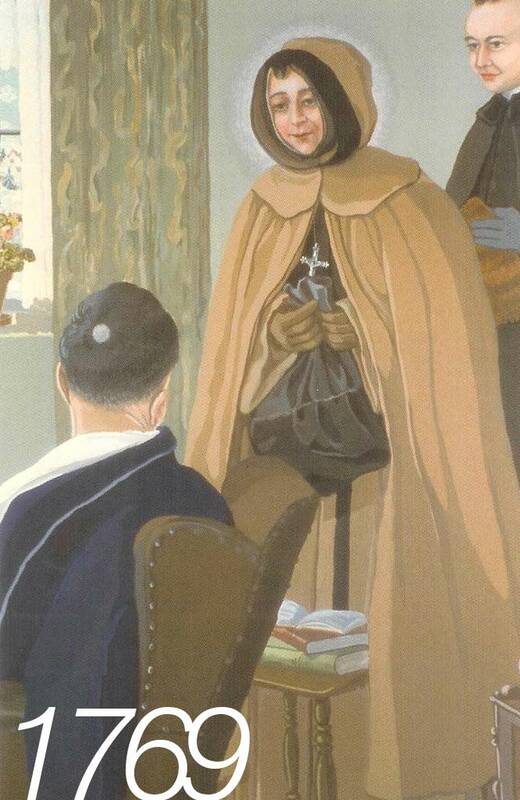 Her confidence in Providence, her love of the poor and her life of prayer. 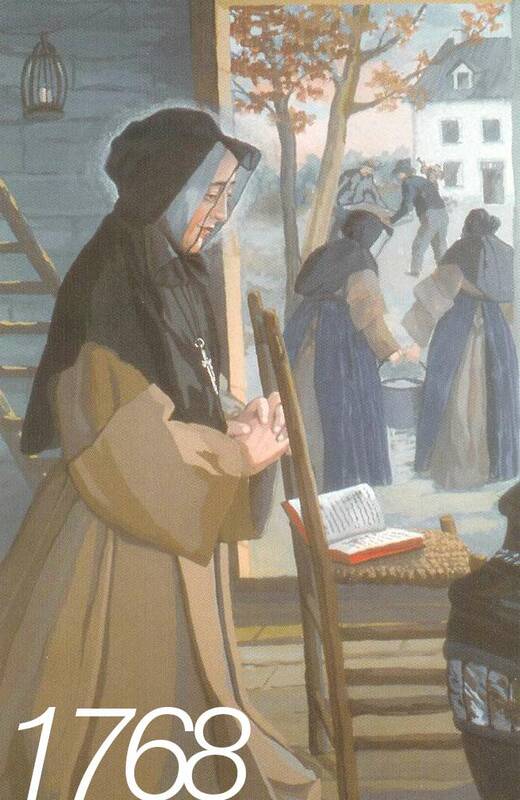 Even during the construction of a house at Point St. Charles, sometimes she could be found alone in prayer. 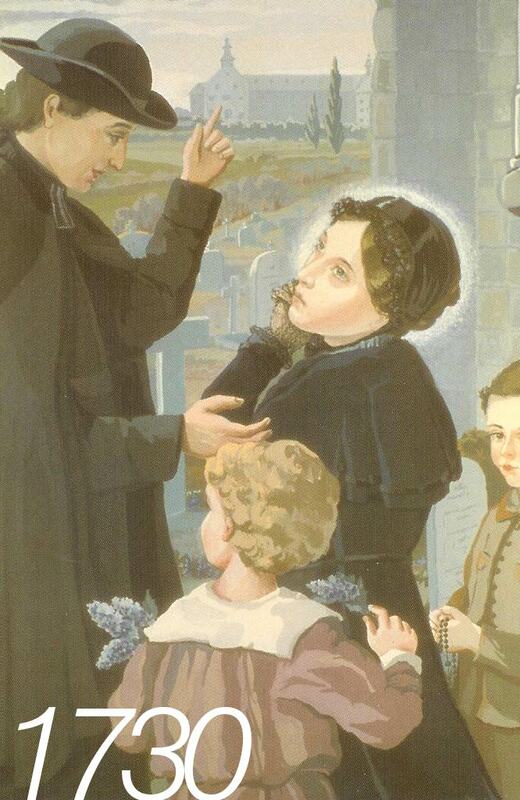 When her son, Father Francois d’Youville, pastor at St. Ours, fractured his arm, Marguerite d’Youville hastened to his side. She was accompanied by her other son, Father Charles Dufrost, Pastor at Holy Family parish of Boucherville. 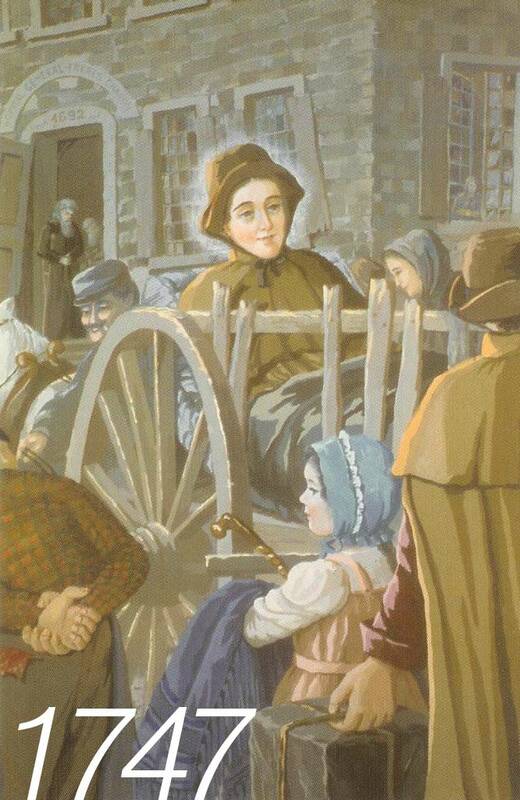 Marguerite d’Youville’s long service to the poor came to an end when she suffered a paralytic stoke. Realizing that her days were numbered, she drew up her will and offered a last message to her sisters which they consider her spiritual testament. 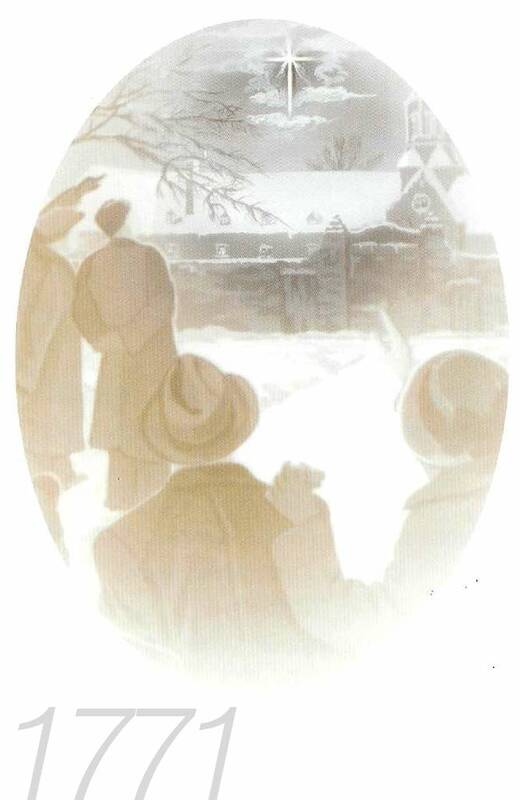 At the very moment of Marguerite d’Youville’s death, December 23, 1771, a luminous cross appeared over the General Hospital. This cross foretold the glory to one day be bestowed by God on this servant of the poor, who was canonized by Pope John Paul 11, on 9 December 1990.